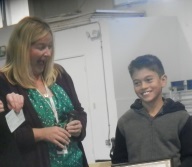 Andres Akerlundh from Emory Elementary is Imperial Beach South Bay Kiwanis December 2015 “Student of the Month”. December 2015 “Student of the Month”. 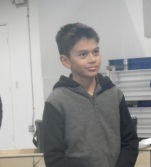 to assist his classmates with anything they need help in. Andres Math skills are Impressive, and it’s his favorite subject. His teacher believes he deserves this award because no matter what he is doing, whether it be difficult, new, easy, boring, he puts forth his best effort, and persevere until he’s satisfied with his work. always says ‘Help them, imagine yourself in their shoes in their life” This young man indeed deserves this award with such deep thoughts and concerns for others at such a young age. into a savings account for college. They donated around 40 books to the SBUSD Elementary to go in their Library for students to read or classes, signed in recognition of those speaking at their Meetings, and Students of the Month.